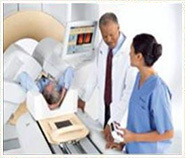 Clinical research in nuclear medicine is introducing new imaging radiopharmaceuticals and optimizing current procedures. It is well-recognized that imaging is only as good as the people who perform and interpret it, and never more true when performing imaging in multicenter clinical trials. Image standardization and accuracy of data recording are two things that are a high priority for pharmaceutical and device company sponsors. Every nuclear medicine technologist who has participated in a research protocol can share a story about how complicated it is to accomplish every task in the protocol, collect every single data point over the length of the study, and document the project in the way that the sponsor requires. The nuclear medicine technologists play a vital role when molecular imaging is incorporated in research studies, and CTN strives to provide resources and training for technologists to enhance their research skills and promote career growth. The SNMMI-TS Leadership and Clinical Trials Network Leadership feel that is essential to have technologist members included on the various committees within the Clinical Trials Network. As an example, most courses in the CTN curriculum are developed by molecular imaging technologists and investigators experienced in performing multicenter clinical research protocols within the current regulatory framework and meet international standards for Good Clinical Practice. Please see FAQs for additional information on Technologist Resources.